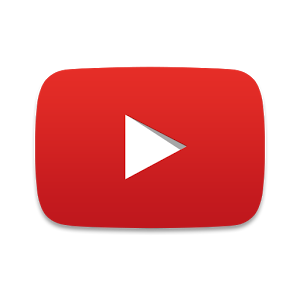 YouTube is just over ten years old. That's about the time that a global and ubiquitous web service oughta straighten up and stream right, throw off adolescent comforts and maybe start considering some branch-off services, like Music or Games. The development team has decided to release news of upcoming features in that time-honored and totally not aggravating format, the video list. The following is specifically for "creators" (read: people who upload regularly and/or try to make money with videos), but some of the information is interesting for mobile users. If you don't have four and a half minutes to spend watching for the new stuff, here's a breakdown in the old-fashioned and completely dead text format. You Philistine. Comments: Google is filtering YouTube comments in a more effective way, sending junk and spam below the visibility line. A 30% decrease in the amount of comment "dislike" actions is reported. Mobile subscriber notifications: an upcoming opt-in feature will send alerts to subscribers whenever a new video is published, as opposed to an email or an alert when YouTube is opened. New types of pre-rendered "cards" to display while videos are playing: this will probably only show up on the desktop, at least initially. Subscriptions, and presumably the buttons to activate them, will be getting more visible on the YouTube Android app in a future update. Mobile Creator Studio: this uploader-focused app is getting more analytics and new contextual information in a future update. Video uploaders will be able to adjust video thumbnails and monetization settings from the Creator Studio Android app. 360-degree videos will be getting a 3D upgrade soon. YouTube Gaming: a stand-alone app, a la Twitch, is coming to highlight livestreaming game videos. Creator community: YouTube will be adding a forum and/or social network area specifically for Creators to collaborate and share insights. Creator Academy: YouTube's tutorial area was recently given a visual update and some new lessons. There's nothing earth-shattering in these revelations, but we'll probably start seeing some of the mobile changes in the next few weeks, in our app teardowns if not in the user-facing changes.